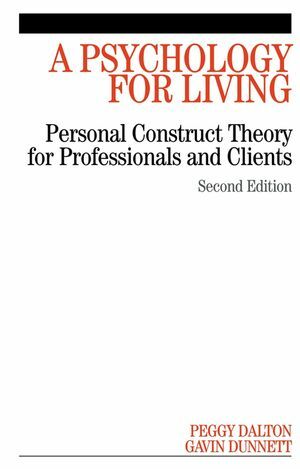 The first edition of this book has formed the basis for many training coureses in personal construct psychology. The book makes the ideas of George Kelly accessible, and applies the theory to a wide range of settings. By a process of interweaving theoretical ideas and practical examples, A Psychology for Living clearly demonstrates how a meaningful view of personality may be conveyed. The second edition retains the chapters on theory and procedures for the practical application of the theory, and updates real-life examples. The work of new writers and practitioners has been included as well as a new chapter on the use of PCP within organisations. Chapter 1. What is this thing called PCT? Chapter 2. The theory itself. Chapter 3. How do we come to be as we are? Chapter 4. How do we work? Chapter 5. What can go wrong? Chapter 6. Why should this approach help me? Chapter 7. Can it help us in the workplace? Chapter 8. What do you do to me? Chapter 9. What do I have to do? Chapter 10. Can I do it by myself? Chapter 11. How will it all end? Chapter 12. Can it be used in groups? Chapter 13. Where do we go from here?